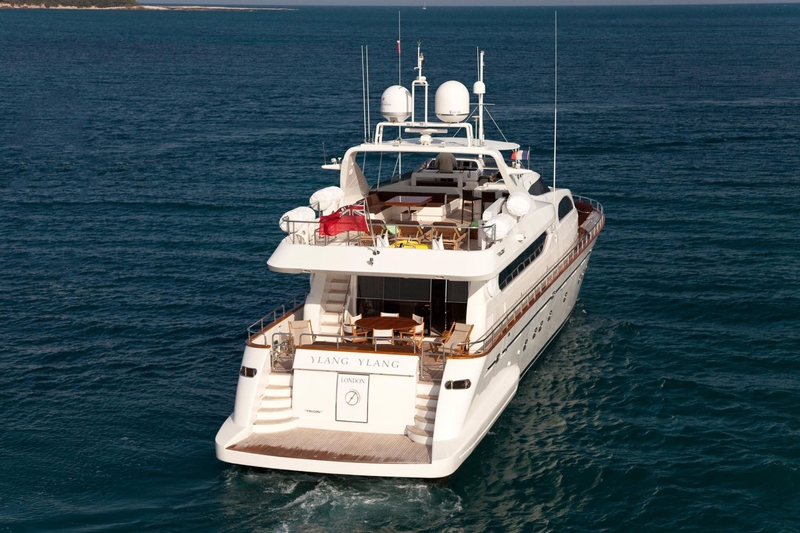 Motor yacht YLANG YLANG is a 31,50m (103' 4") charter yacht built by Falcon yachts in 2007, refitted in 2011. 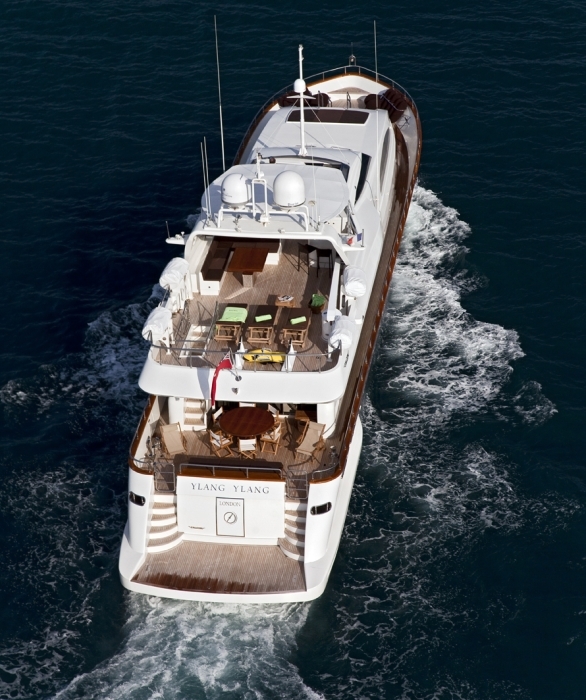 The Falcon 102 yacht YLANG YLANG is a stylish and spacious yacht that can accommodate up to 12 charter guests in style. 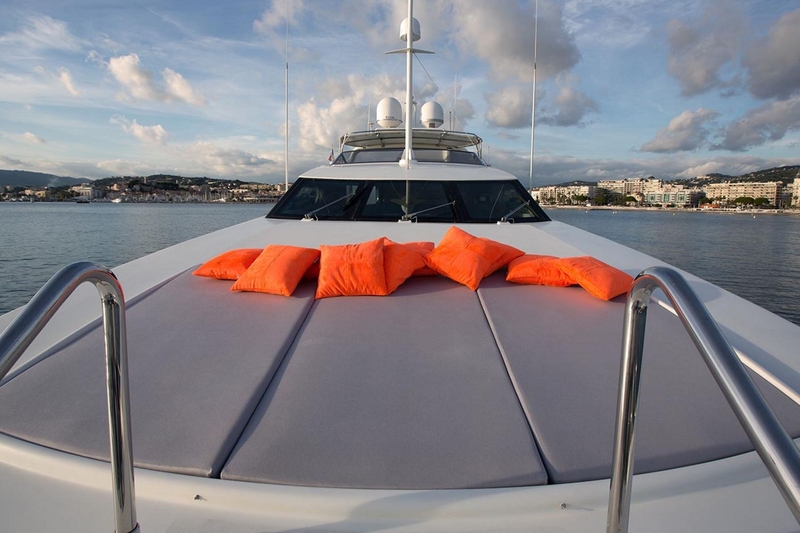 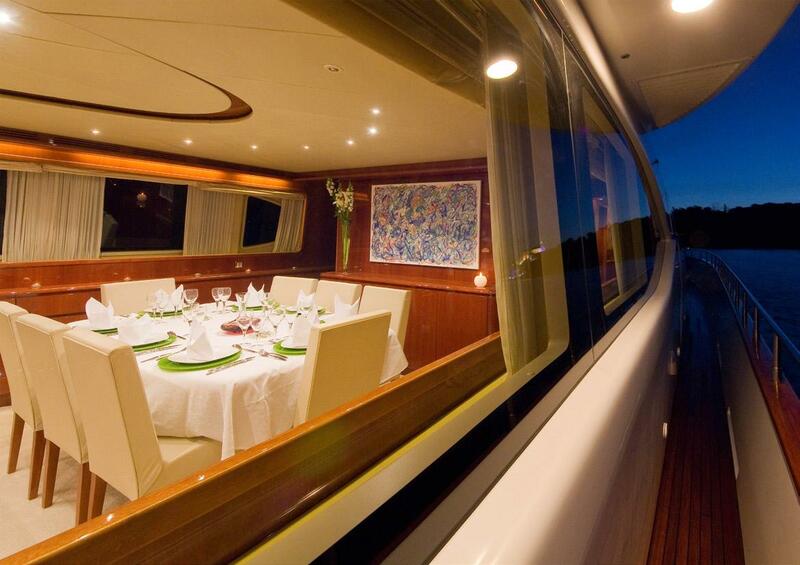 Great for groups of families or friends, she charters throughout the Western Mediterranean. 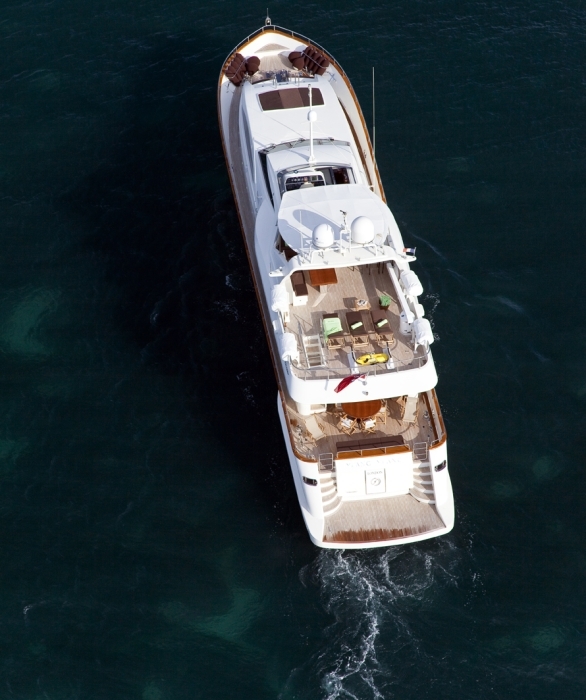 YLANG YLANG is a great example of the Falcon range, featuring a raised pilothouse design with classic exterior lines and generous deck spaces. 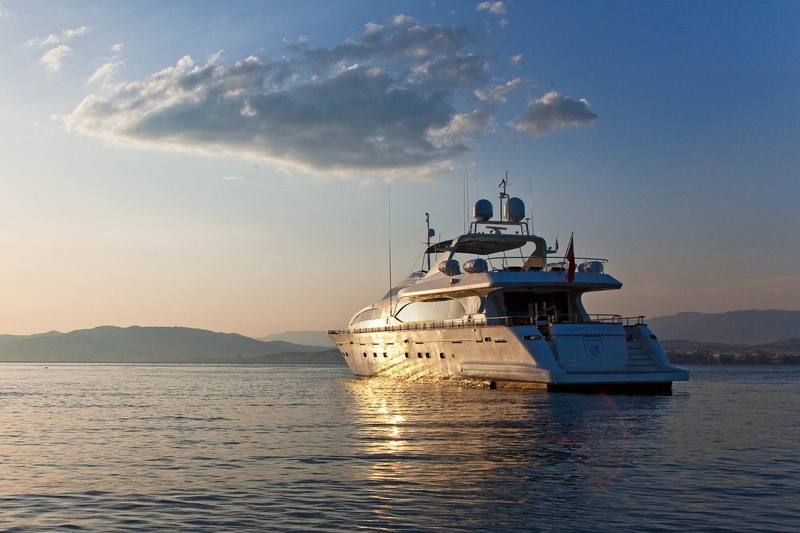 The superyacht has plentiful accommodation for 12 guests in 5 well-appointed cabins, including a master cabin, a VIP cabin on the main deck, a double cabin and two twin cabins each with an extra Pullman berth. 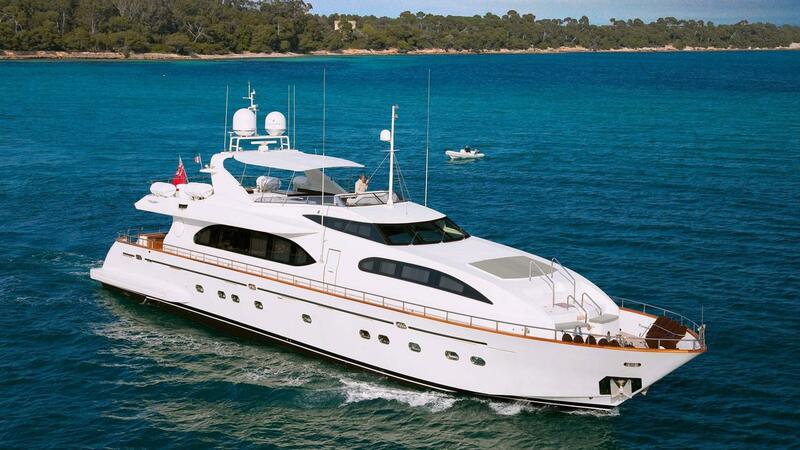 Having been refit in 2011, she is in excellent condition. 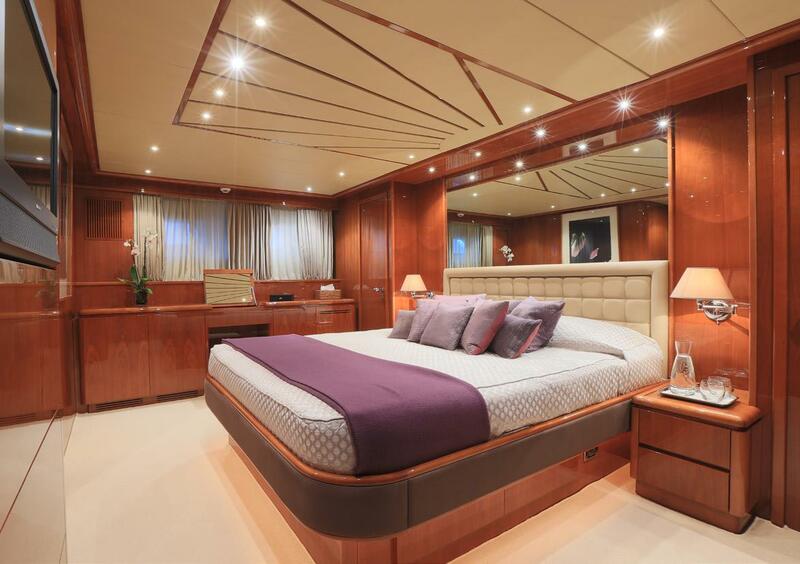 The YLANG YLANG motor yacht has a contemporary interior boasting polished cherrywood throughout, with a large salon and adjoining dining area. 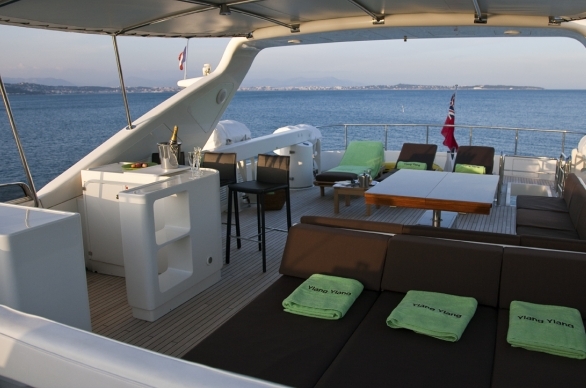 The salon features a large u shaped lounge area with comfortable white couches and an entertainment area opposite. 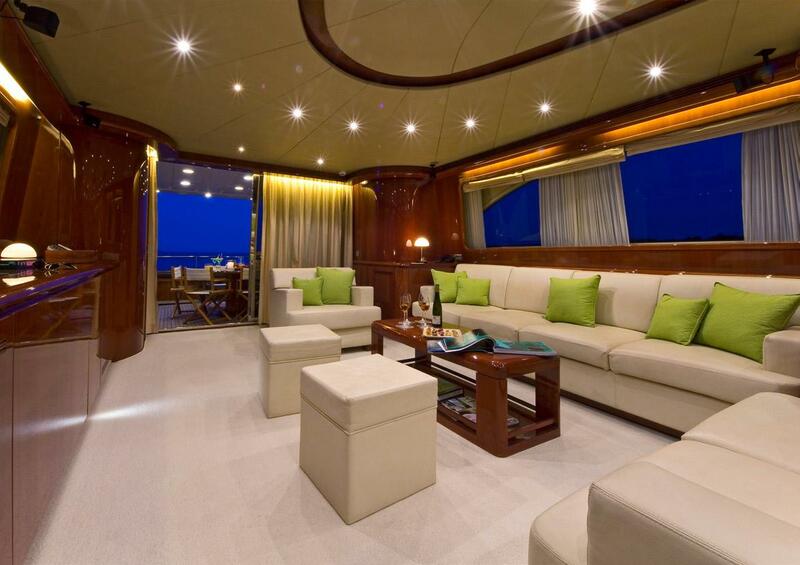 Splashes of lime green brighten the space with a contemporary feel. 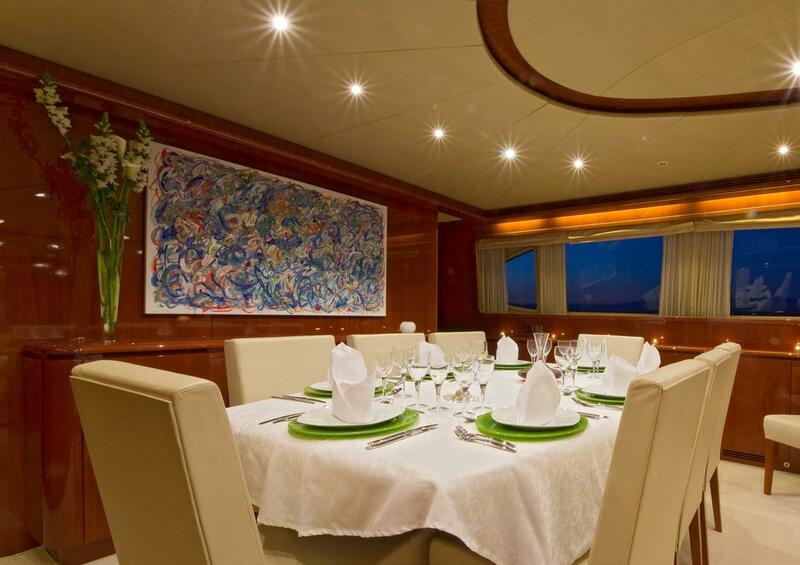 Further forward is the formal dining area where charter guests can enjoy the beautiful cuisine prepared by the talented onboard chef. 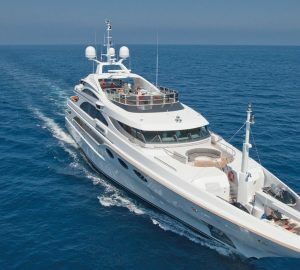 The Falcon 102’ motor yacht YLANG YLANG also features expansive exterior decks that are always a favourite area for guests when cruising in the Mediterranean. 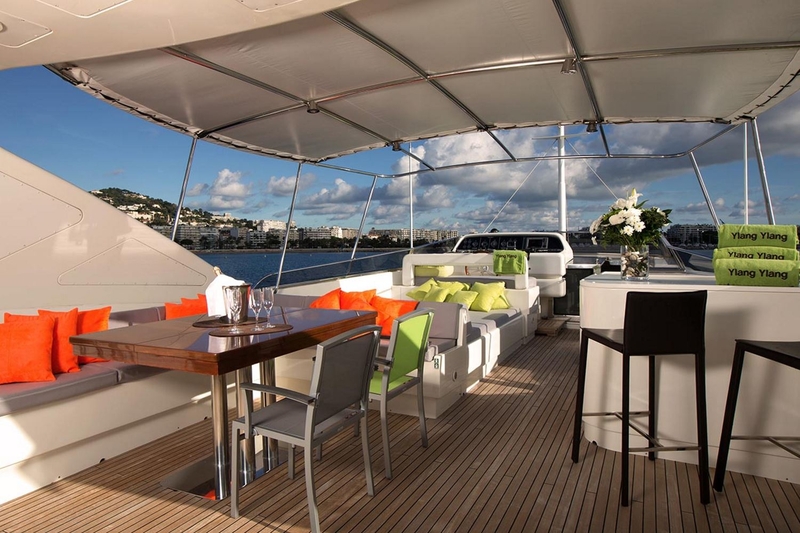 On the aft deck charter guests can enjoy al fresco dining and there is port and starboard access to the large swim platform. 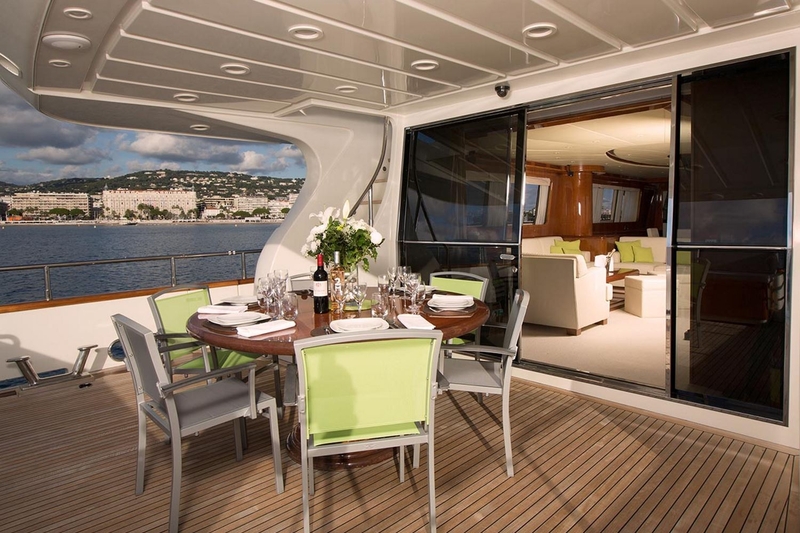 Walk around decks lead to the bow and staircase on the aft deck port leads to the generous fly bridge above with a further al fresco dining option, bar and sunbathing area. 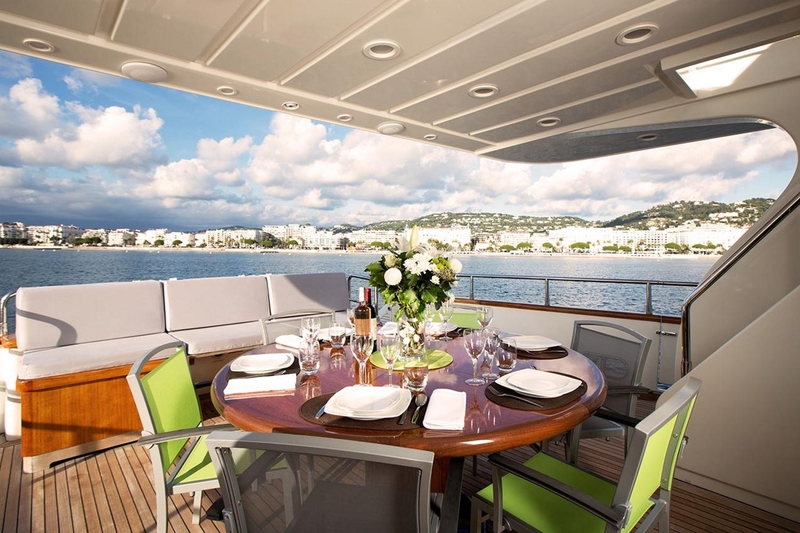 Yacht YLANG YLANG offers every comfort for extensive cruising itineraries and has an enthusiastic young French and South African crew. 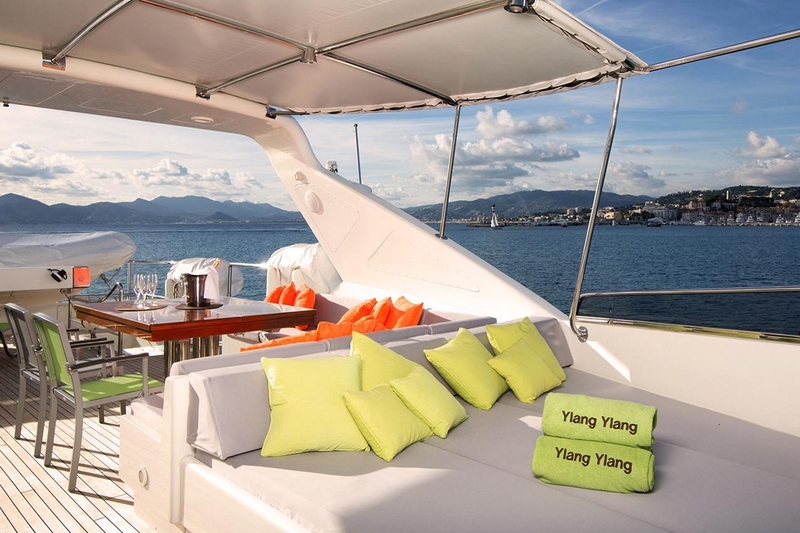 M/Y YLANG YLANG also has an extensive array of water sport toys for adults and kids alike including a 3,80m Novamarine with 60hp Yamaha, a Seabob Cayago F7, Doughnuts, Waterskis and Wakeboards for both adults and children and Snorkeling Gear. 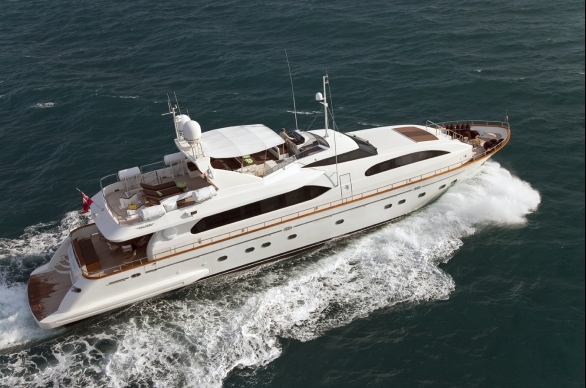 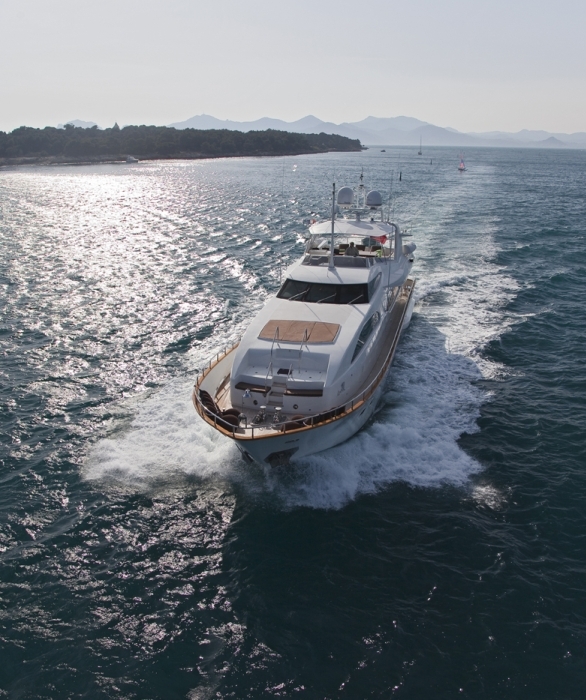 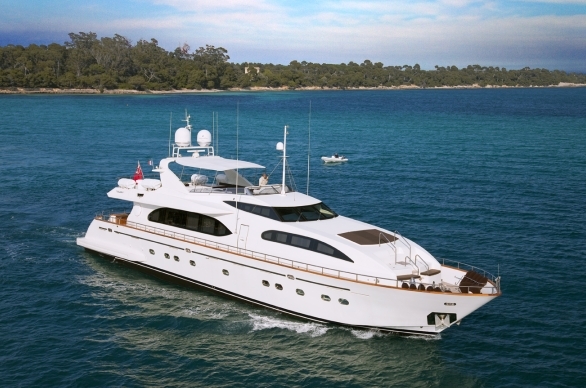 Charter yacht YLANG YLANG is powered by twin M.T.U. 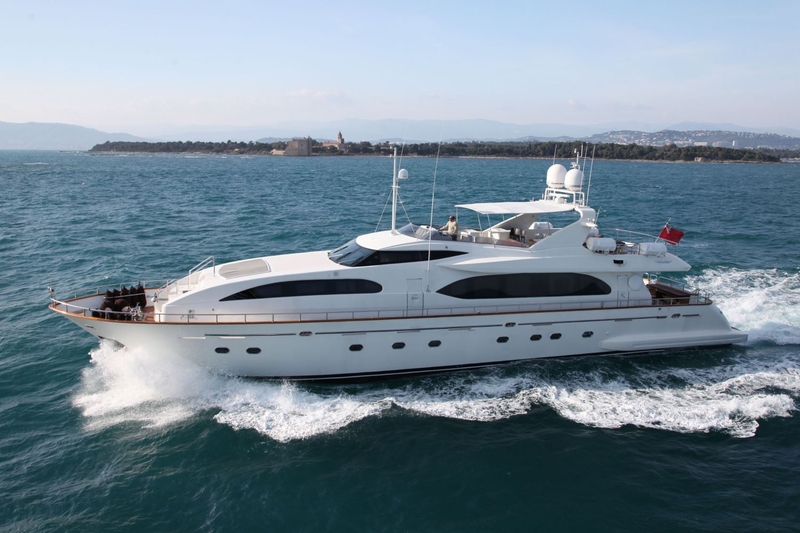 16V 2200 HP engines enabling her to reach a top speed of 27 knots with a cruising speed of 23 knots. 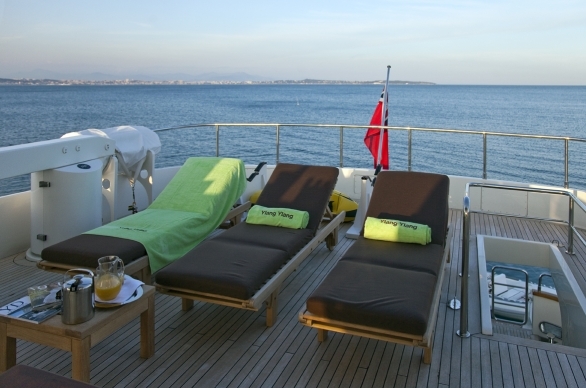 YLANG YLANG is based out of Cannes and is available for luxury yacht charters throughout the French Riviera. 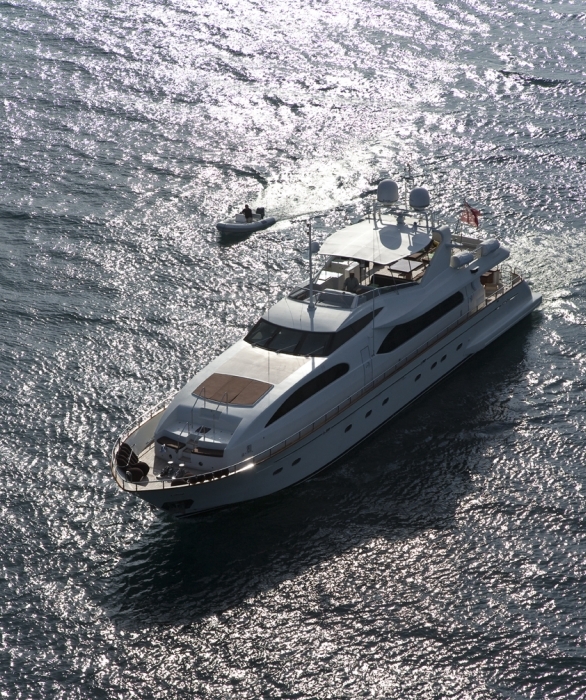 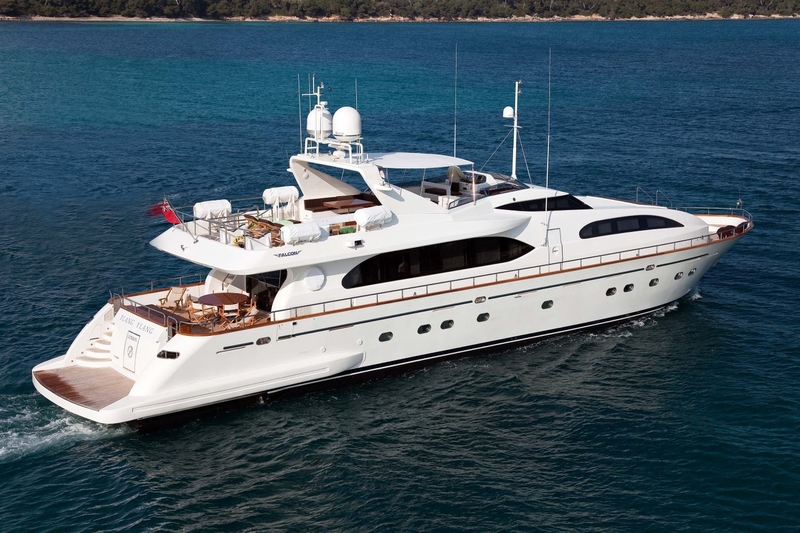 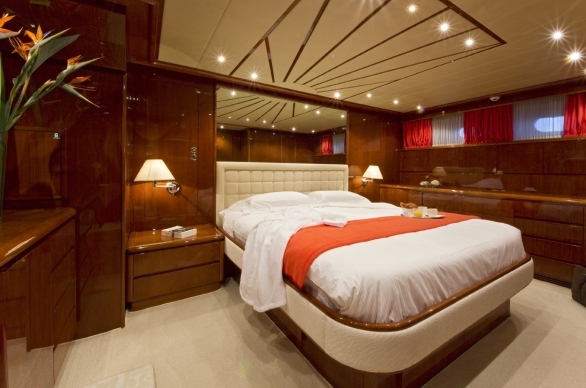 The luxury yacht YLANG YLANG is able to sleep up to 12 charter guests in 5 cabins. 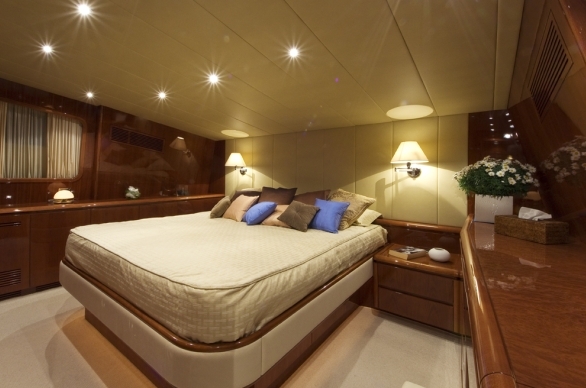 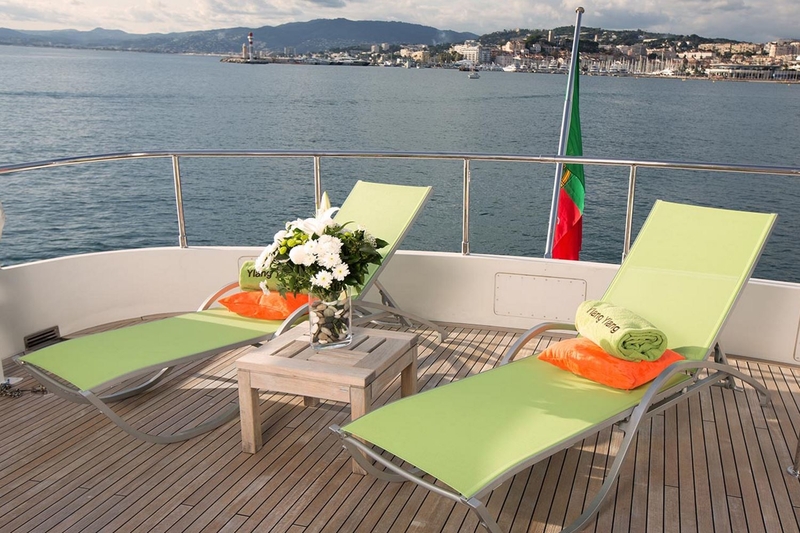 The cabin configuration includes a beautiful VIP Cabin on the main deck forward. 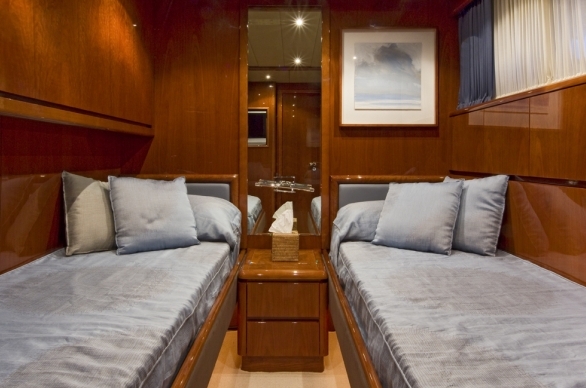 The remaining cabins are located on the lower deck and include a second VIP Cabin forward, a Master Cabin aft and 2 mirror twin cabins equipped with Pullman bunks. 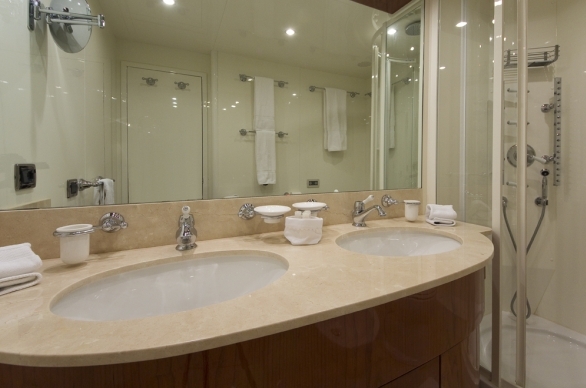 Each cabin has its own ensuite facilities.